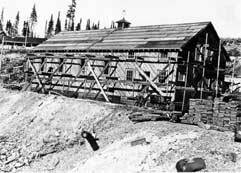 The Cariboo Gold Quartz Mine and all it's buildings was located on Cow Mountain beside Wells and above the Jack of Clubs Lake. 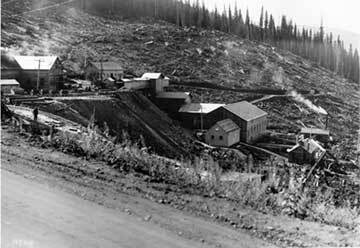 There are no mine buildings standing on Cow Mountain, where the Cariboo Gold Quartz Mining Company operated. They were burned down. 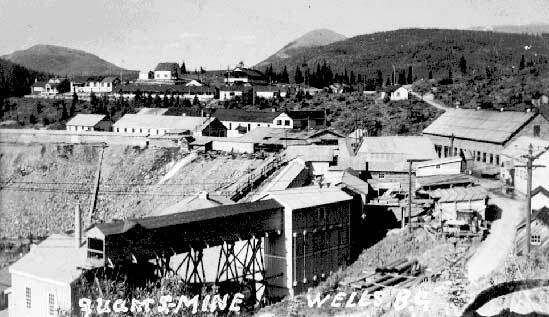 In a large clearing above the Cariboo Gold Quartz Mine, there was a ski hill and ski jump. In 1936, the Western Canadian Ski Championships were held here and people landed record-setting jumps.